It had major short comings. 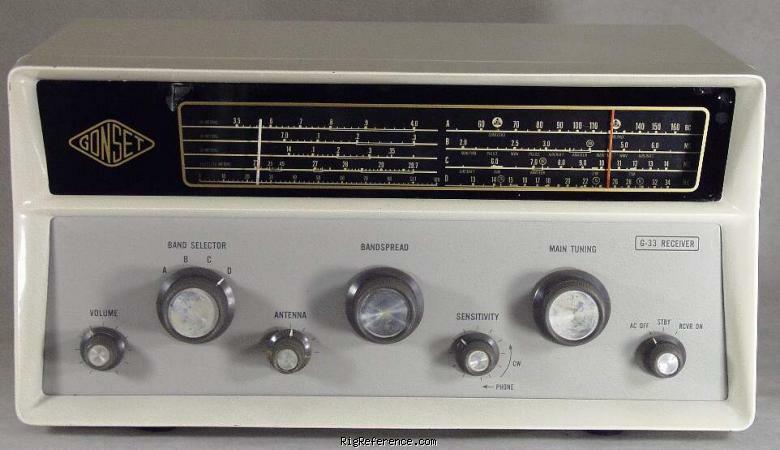 SSB and CW were crudely heard by tuning with a "sensitivity" knob. I couldn't find an external BFO add on because it used a 1650 IF instead of the common 455 IF. Selectivity was marginal. Short comings aside, what a great gift from my grandfather when I was about 10 years old and listened to for about 6 years or so. Estimating the value of a rig can be challenging. We collect prices paid by real hams over the years to help you estimate the current value of the Gonset G-33. Just bought or sold this model? Let us know what you traded it for and help other ham operators!